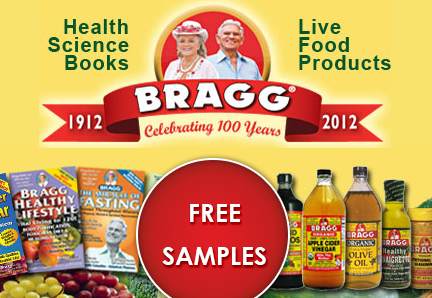 Get a FREE sample package of Bragg Seasoning. Just fill out the form and submit. Your Free sample includes a Bragg’s Health Facts Info Package, sample packets of Bragg Sprinkle & Sea Kelp Delight seasonings, and Bragg Premium Nutritional Yeast. This free offer is available only for U.S. postal addresses. ALSO, due to high volume of requests please allow at least 14 days to receive your samples.